Recent tragedies such as the Grenfell Tower fire have reminded the public of just how devastating fires can be. Not only do they destroy homes and possessions, the risk to human life is also very, very real. Fire alarms are important as they quickly alert everyone in the area that a fire has broken out. This alert allows everyone to evacuate the area and makes it far more likely that the fire will be extinguished before it gets out of control. Our fire alarm systems are created to protect you and your property, and while we all hope you will never have to use them, they are an essential precaution that is always necessary no matter how unlikely the event of fire may seem to be. 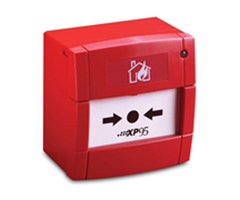 Here at IDS, we design, install and maintain fire alarm systems to suit your property and circumstances. Our top-of-the-line technology gives you peace of mind that your property is well-protected in the event of a fire. We have a range of fire alarm systems available, and we will help you to select the one that will best protect yourself, your premises, and those around you. To learn more about our fire protection services, please click here. We also offer a 24hr fire alarm monitoring service that provides further protection if a fire occurs. Monitoring allows for the quickest possible response to the location of the fire and rapid correspondence with emergency services. If you’re still wondering why fire alarms are important, you should remember that it is never a risk you should be willing to take. Don’t leave your property’s protection up to chance - invest in a reliable fire detection system and be reassured that you have taken all the appropriate safety measures. To find out more about how IDS can help you with your fire protection technology, contact our friendly team today. Feel free to give us a call on 02920 753 251 or get in touch here.